apologies for the side ways pic, I am not sure how to edit that. last night was one of the worst nights of my life, and as I type this as a man I don't mid saying I have tears rolling down my face, the beautiful dog above is called Suki. my wife and I were told we may never have kids, so in due time we got a dog, from day 1 she was adorable funny and so affectionate. a year later we had our first child my son Charlie. the 2 bonded almost instantly and she became his constant companion and protector. at aged 7 she became diabetic, blind and totally dependant on us, she would listen to our voices if an obstacle was near and we would tell her if there were steps or she needed to move to the left or right. she obeyed every word without hesitation. on Friday we had gone on a long weekend on holiday, the venue wasn't far about 100 miles, but dogs were not allowed, so she went to my father who adored her. we had a call 8 hrs later saying she was distressed and howling like a wolf. we immediately dropped everything and made that 100 mile journey in a hour back again to find her in a coma on my fathers floor. we rushed this beautiful girl to the vets and 2 ICU nurses worked on her for 6 hours, she was having fits and they were making her blood sugars drop to below 1.
after 6 hours we had to make the almost impossible decision to let our baby girl die in our arms. my heart has never felt so painful, coming home her toys were still where she left them, her food still in her bowl. I know some may feel that im being soppy and it was just a dog, but I feel like I have lost a child. Andy, that's terrible news mate and not at all soppy. Bottom line is Suki was as much a family member as Charlie. I had a couple of cats 10 or so years back. With my wife and I moving around so much with postings, apart from each other they were the one constant in our lives that brought an immense amount of comfort and joy to our lives. I buried Dillon and Louie myself. Toughest thing I've ever had to do. Remember the good times Andy. Rejoice and celebrate them. Hard as it is to see it now, with the passing of time things will become easier. My heart felt condolences to you and your family mate. Having had to say goodbye to three of our Labrador Retrievers and being there to hold them when they crossed over, I can honestly say that you have my sincere condolences. May the Lord grant you Peace. Their's nothing "soppy" about loving an animal. They become 4 legged extensions of ourselves and when gone , a piece of us is gone as well. I know as I've lost 3 of my kittehs this past year. You have my sincere condolences brother. I had to have a dog put down.I know your pain.Remember the good times. Thank you guys. 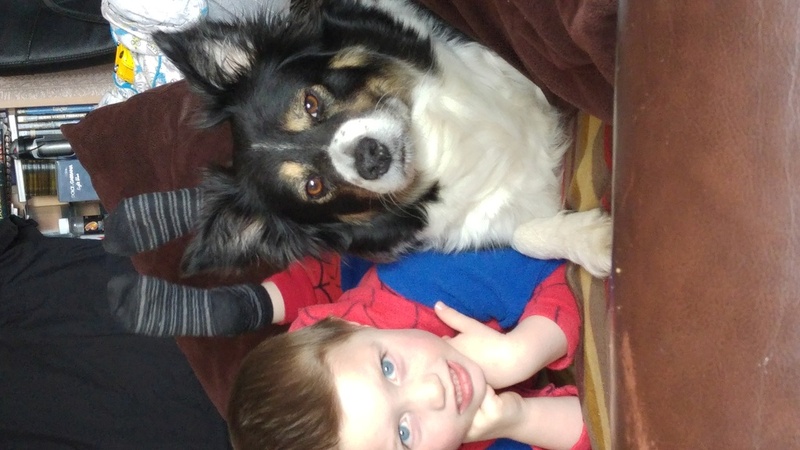 we are still a total mess here, my 6 year old keeps calling her name, he cant understand where she is and has never lived a day that she wasn't by his side. they certainly leave pawprints on your heart. When they own a piece of your heart, you find that you just can't let go. They are wonderful personalities...full of love no matter what the circumstance. You will be in pain for a while. You will cry, because you have a heart, and part of it just died. Suki will be with you forever, you will keep her in your heart. Your love for Suki will not be forgotten. I have three small graves in the back part of my property. Therein lies part of my heart. I visit them every other day or so and I feel their presence. Their love will not be forgotten. My condolences to you and your family. It's tough loosing a member of the family, and a pet is a member of the family. We lost our old lab over a year ago and we are still pining over it. Our other dog has been lost also without her. She sometimes looks around as if the old lab was still here. Once again, I'm sorry for your loss. It will be 2 years come November we lost our forever companion, our Weimaraner Levi. I still feel he’s in the other room occupying himself and I think of him often, the impact they make on our lives needs no room for apologies of feeling as you do of the loss you your beautiful Suki, may she find peace and may you heal and help your son understand she’s in a good place. Thank you all for your kind words. They are very comforting in these difficult days. I very much appreciate it. Andy, I can relate as one who has lost many a 4-legged companion over the years. My sincere condolences. Andy, I'm so sorry to hear of your loss. I've lost more than my share of 4 leged furry friends over the years. It hurts and that hurt is compounded by your sons inability to process what happened. Unfortunately this will change his life forever. The loss of your first furry friend can take a very long time to get over. Don't push to get a new dog until your son has had a chance to come to terms with what happened. It'll be hard but you'll know when the time is right. You'll be in my thoughts and prayers. » Need code to make EVENT dates on Calendar widget a different color.